In addition, Tan Yang black tea was selected by Diao Yu Tai State Guesthouse as China's Gift Tea for international VIPs in political and economic fields in October 2005, and again in 2008 by the Beijing Olympic Economic Research Association. Jing Zhi means "Refined" grade. This grade is rarely found outside of China. 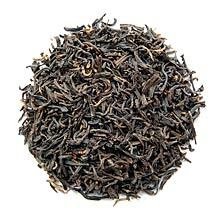 It is processed using carefully selected tea leaves picked in early spring season. The fragrance of the dried leaves is quite reminiscent of smoked bacon but once infused, the tea has a nice and strong rose-like floral sweetness which gradually strengthens after a few sips. Loosely twisted golden black tea leaves and buds. Clean amber red color infusion.